The eurozone summit painted as though 17 heads of state came to the rescue of Greece and the single currency was nothing of the sort. The deal cobbled together in the early hours of 27 October required the agreement of the trade association of the banks, financiers, private investors and speculators represented by the Institute for International Finance (IIF). The deal is a bail out of the banks who when push came to shove agreed to the "haircut" of writing off half the Greek debt or suffer the consequences of Greece defaulting on the whole debt and collapse of the single currency. It is understood that the International Monetary Fund had pressed for a 70% write off and the EU and European Central Bank wanted up to 60%. The upshot is that Greece remains in the eurozone and will not be classed as defaulting on the 'sovereign' debt. 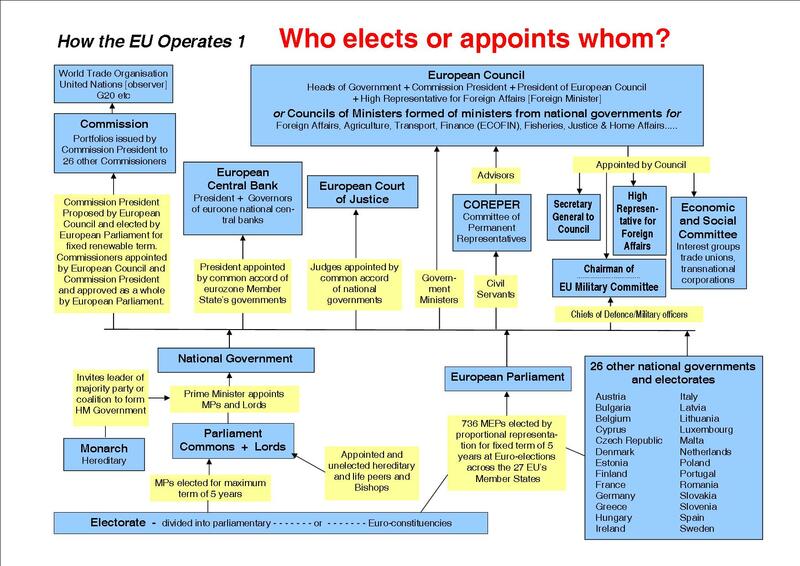 For the time being the single currency will survive within a two tier European Union superstate -that is until the next crisis in what President Barroso has admitted is a marathon. Practically all the media reports and interviews concentrate on the mechanics of debts and monies involved. 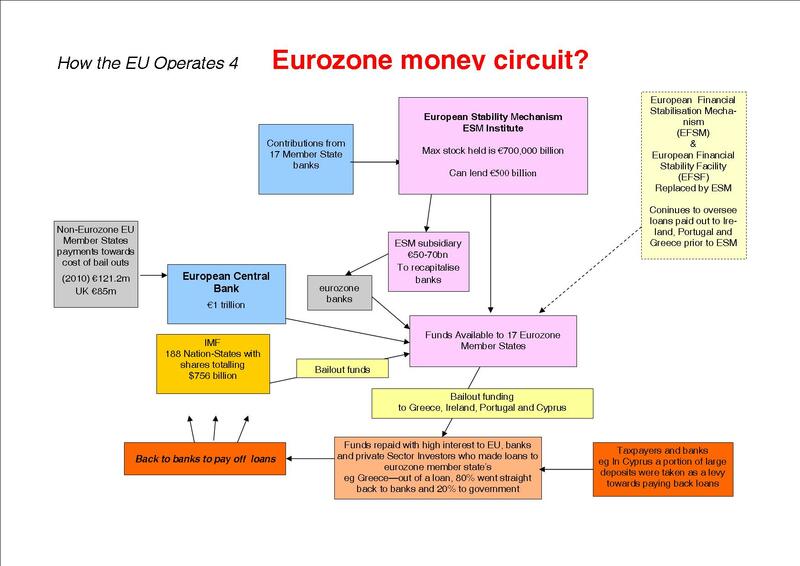 This includes the million million, or trillion, euros towards a bail-out fund in case the current plan fails or other eurozone states cannot pay back their debts to the banks. At the moment there is no indication where or how this sort of colossal fortune is to be raised. However, it does involve Britain and British banks via the IMF even though we are supposed to be broke. What is not discussed by the media is where workers are involved. The relevant part of the deal struck in Brussels is to continue consolidation of the EU's austerity policies including cuts in pensions, wages and welfare provision and further privatisation. 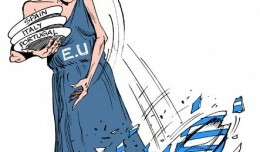 The deal struck is for the people in Greece to be burdened and impoverished with paying back the banks until 2020. Italy has been told to table government plans to reduce their debt with the same restructuring austerity policies. Ireland and Portugal remain under direct orders from the IMF and EU. The deal is a brutal unrelenting attack on the working class within Member States of the EU and must be opposed. In Britain there is an urgent need for trade unions and the wider labour movement to fully appreciate the seriousness and gravity of the situation, and oppose the ConDem austerity policies as a matter of solidarity with workers across the eurozone and the rest of the EU. The alternative is for Britain to be outside the prison house of nation-states that is the EU.